Baba's blessings. Kindly go to your profile section and on the left side top you can see the details and you can edit yourself. Incase if you are unable to do, I will request Ravi( our admin) to do it for you. Hope I am clear. Thank you! I am not really sure what you wanted here. You cannot hide your ID, if you post your ID will be visible. though I can change your ID. Send me an email - admin ~at~ spiritualindia.org. My Bad... I didnt read it properly. Subha ji was right. You can hide your email ID but not the actual ID. I will do it for yiou. I need help to hide my mail id , whenever i login in DM, my id is visible with my post , thought i tried to change setting by profile account related setting, but it was no use ..kindly help me ..
Baba blessings.Your email ID is visible ONLY to you. All other devotees cannot see your mail ID.Since it is your profile you can always view the same. Please let me know how can I send my experience which I write down and kept as a draft in my e-mail account. I want it to forward to this forum's section. but I could not able to send it. I do not know much about computers. so please if you guide me it will help me a lot. Thank you and waiting for your reply-- sainetra. Baba blessings. You can send your Baba's experiences to the below link. Just click the link and you can copy or type in your experiences. Looking fwd to read your exp. Thanks and Baba bless you always. Baba aapka bhala kare. Thank you very very much for helping me to post. love you dear- sainetra. Baba aapka bhala kare means ...Baba does everything good for you. After long gap I am coming here again. let us see how BABA will take me futher. Thanks again my child love you. 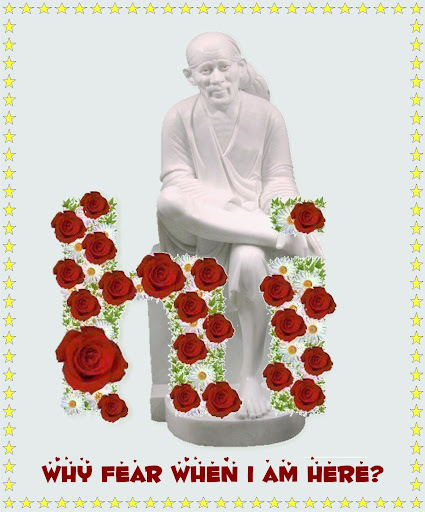 Saibaba bless you, me, my son's & everyone who remember him. Page created in 0.76 seconds with 64 queries.